The San Jose Sharks made a sportswriter out of me, albeit indirectly, so you have them to blame for the fact that I write about baseball here at RealGM. I may have grown up in Houston as a fan of my local teams, but my teenage self decided that he preferred metal, punk and indie rock to baseball, basketball and football, and traded out The Killer B’s, The Dream and Warren Moon for Pantera, Propagandhi and Pavement. Thanks to the Sharks, more than a decade later, I stumbled back into the world of sports, which led to fandom, which, for better or worse, led me here. Reading MLB trade rumors over my morning coffee and being more familiar with the daily DFAs than the daily news. Constantly sorting statistics looking for some sort of truth, which thanks to a single hot or cold streak, will almost certainly be irrelevant as soon as it is published. Moving far away from the Bay Area and waking up in the middle of the night to stream Sharks' playoff games. Making weird animal noises as I try to stifle cheers and groans so as not to wake my wife during said games. Failing to stifle said animal noises and waking her anyway, only now she’s freaked out by the unhuman noises coming from the other room. I digress. I was just trying to say that San Jose was a pretty good shepherd back into the world of sports when I started watching them during the 05-06 season, the second of ten consecutive seasons in which the Sharks made the playoffs. Basically, anytime you were tuning into watch the Sharks, it was more likely than not that they would win, which was a pretty solid recipe for incubating fandom. Thanks to a longtime roommate who constantly had the games on in our apartment, it didn’t take long for me to go from “how do you follow the puck, my eyes hurt, what the hell, oh, now those dudes are wailing on each other, ok” (hockey really wasn’t much of “thing” growing up in Houston in the 80’s and 90’s, in case you didn’t gather) to appreciating getting pucks deep and playing them from the bench. And it probably didn’t hurt that, as someone who has been to countless metal shows, the Shark Tank was and is one of the loudest places I’ve ever been (Sunn O))) concerts excepted). A friend that I often watched Sharks' playoff games with used to regularly repeat variants of a remark along the lines of “playoff games are soooooo stressful,” a truism that all sports fans can appreciate and one that certainly remained true in this series. It seemed like every time the puck was in the Sharks’ end of the ice, Sidney Crosby was sliding it into the crease to one of his fellow Pens, and my shoulder muscles were sliding upward into their fellow neck muscles. If the Sharks threw a puck towards the net, there was inevitably a Penguin there (usually Nick Bonino, but not always) to pull a Gandalf. There were bad breaks and plenty of posts, but those went both ways. Mostly, though, it was just a matter of the Sharks not matching well against the Penguins’ strengths, especially their speed. There was plenty of talk about the size and aggression of the Sharks, but it didn’t matter at the end of the day, because, while the Sharks may have finished their checks in the Pens’ end, it all too frequently resulted in an odd man rush going the other way and a prolonged possession on the wrong end of the ice. Plenty of pundits had the Sharks winning the series and were touting their success on the power play in both the regular season and in the playoffs prior to Pittsburgh, but unfortunately it was not to be. The Sharks only came up with 1 goal in 12 chances. That 0.08% was a far cry from their 27.0% in the playoffs coming into the series and their 22.5% across the regular season. Then there were the faceoff wins. The Sharks had the worst faceoff win percentage of all 16 teams throughout the playoffs, and this haunted their ability to control play against the Penguins as well. A quick look at some of the simplest statistics tells the story that the series shouldn’t have been as close as it was. The Sharks only had 139 shots on goal to the Pens’ 206. The fact that the Shark’s goal differential was only -3 throughout the six-game series speaks to the goaltending prowess of Martin Jones more than anything. His .932 save percentage in the series kept all of the games close, even the ones that seemingly had no right to be. It would have been nice to see coach Peter DeBoer shuffle the Sharks’ lines a bit more, as that seemed to be one of the few times that the Sharks seemed to have a bit more life to their game, but, at the end of the day, the Sharks ran into the wrong team. If it seems like I was being overly negative, it’s probably because I’m still feeling the burn. This Sharks' team was one of the most complete I can remember and they went as far as they could before they ran into the immovable object that was the Pittsburgh Penguins. Or failed to be able to catch the improbably fast object that was the Pittsburgh Penguins. Or something. It’s not the end for the Sharks, though. Franchise stalwarts Joe Thornton and Patrick Marleau are still around for another season. While Marleau’s statistics suggest that he is declining, by both traditional and advanced metrics, it’s not as if he’s dead in the water. Thornton, on the other hand, continues to be great, as he kept on keeping on this season, with 63 assists (good for 2nd in the NHL) and 82 points (tied for 4th). Marc-Édouard Vlasic remains one of the best shutdown defenseman in the league. 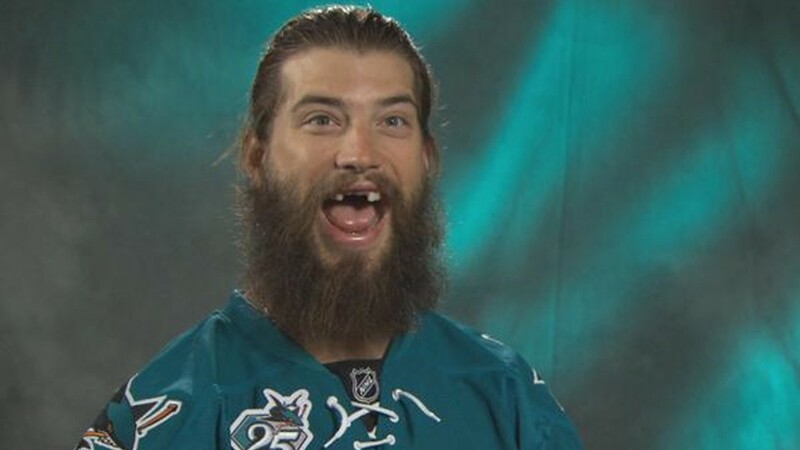 Brent Burns looked like more of a beast than ever and is all over the playoff leaderboards. Couture’s postseason (10 goals and 20 assists) could probably be seen as his proper postseason coming out party (or maybe even a bit of a passing of the torch). 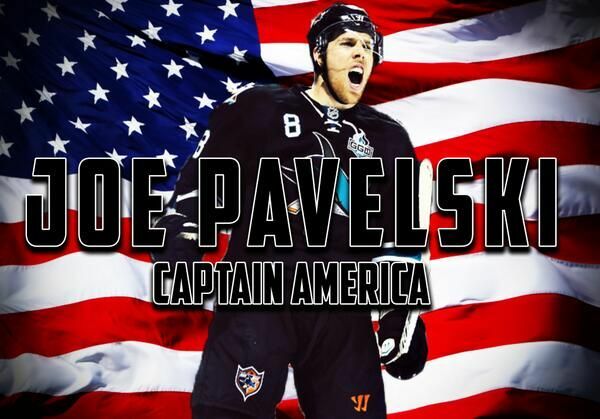 Joe Pavelski’s league-leading 14 playoff goals had him living up to his nickname. Tomas Hertl’s injury during Game 2 won’t require surgery. GM Doug Wilson, who has had some problems procuring depth for the Sharks, made some smart moves when he signed Joel Ward and Dainius Zubrus this past offseason, so we’ll see if he’s able to keep it up going forward. Whether they make it to the Finals again with their current core is totally up in the air. It’s not as if the Sharks are even near the top of the list when it comes to championship droughts. The NHL Playoffs are a grueling test of endurance and the trophy is one of the hardest to raise in professional sports. 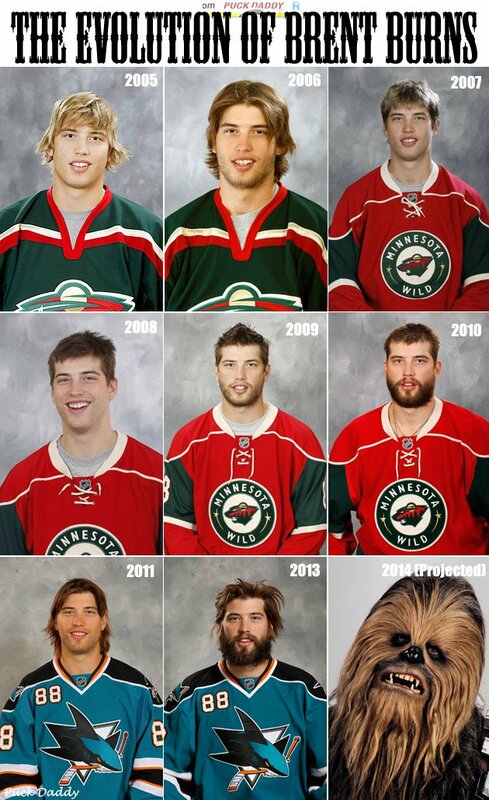 The path to Lord Stanley’s Cup is dark, stressful and full of terrors. There are some things I will never forgive the Sharks for, like when Sharkie knocked over my friend’s beer while climbing over her to give me a hug. Mascots are creepy as hell, and you will never convince me otherwise. I will, however, forgive them for failing to hoist the Cup this year and go ahead and make a date with them for next October, when the NHL season is getting started again and I’ll be waking up in the middle of the night to watch the MLB playoffs, all thanks to the Sharks. 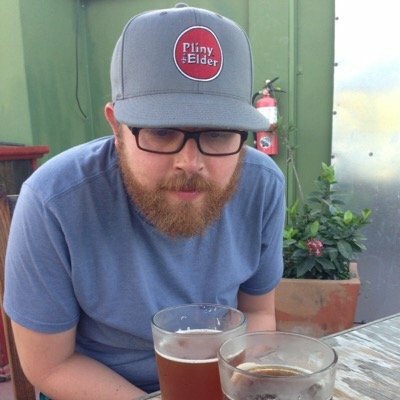 John Watson writes on the MLB for RealGM.